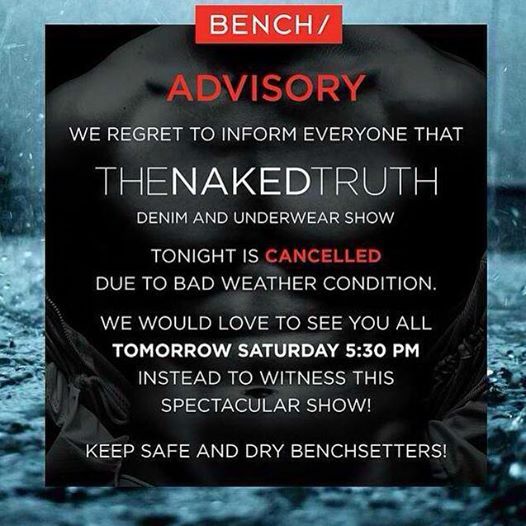 In a sudden turn of events due to unexpected weather conditions, Bench The Naked Truth: Underwear and Denim Show has been called off and postponed until tomorrow. We got the news flash just as we were about to leave our own office for the said event. That said, the show will indeed go on at 5:30 pm TOMORROW, still at the Mall Of Asia Arena. See you there! And remember, stay dry!